My husband has always been the cook in the family. I have always loved to bake. Since he has been moving up in his career, I have had to take on the role of cooking. 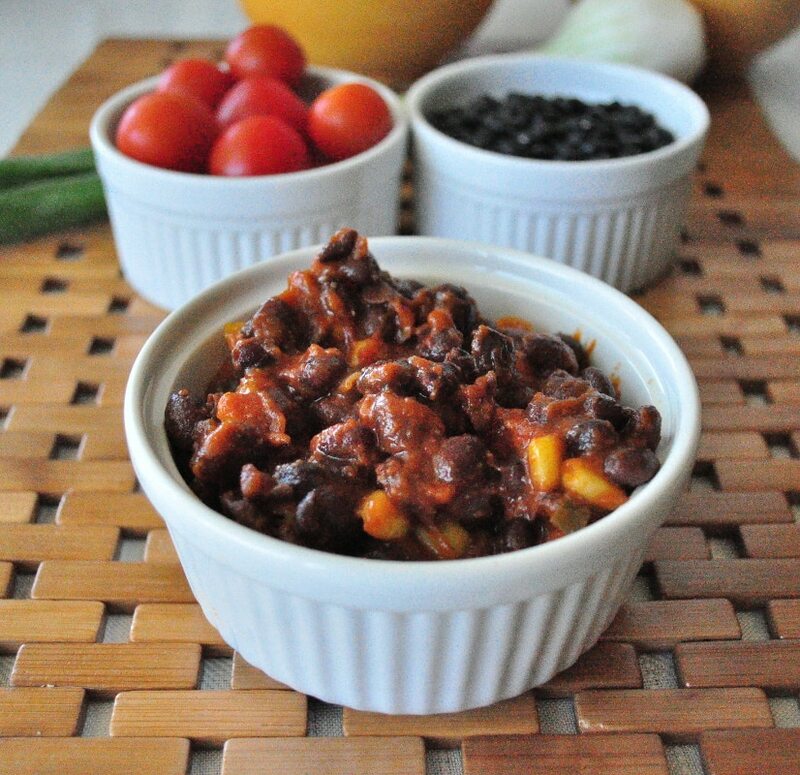 However, on the weekends, he does like to cook and this black beans and rice recipe is one of his. Another one of his recipes is my Peanut Noodle Stir Fry. That is his favorite. He says he has been making this since college. Back then he was a meat eater and he used to add a chicken breast in this as well. So if you are an omnivore, feel free to do just that. In a small pot, add the rice and 2 cups water. Bring to a boil, then turn down, cover and simmer until all the water has been absorbed. About 20-30 minutes. In a large pan, combine the rest of the ingredients and bring to a boil, turn down and simmer until all the liquid has been absorbed. About 20-30 minutes. You can add the rice into the pan, or keep them separate like we do. That’s it. Enjoy!